The Hoops’ fifth cup clash of the season with Glebe produced another “goalfest” on Saturday. 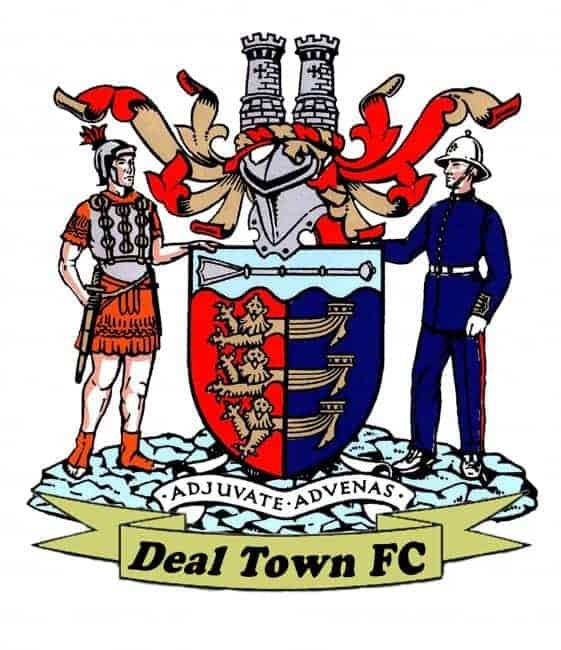 As in their FA Vase replay in September, which Deal won 7-2, the two sides again banged in nine goals between them in this League Challenge Cup second round tie – and once more it was Derek Hares’ side who grabbed the lion’s share. But for the first 25 minutes that had looked an unlikely outcome. The Hoops were decidedly slow out of the blocks and paid the penalty when Brian Zepo gave Glebe a 15th-minute lead. And although Danny Smith dragged Deal back on level terms 10 minutes later with a sweetly struck free-kick the home side continued to play in “fits and starts” up until the interval. But the opening 30 minutes of the second half were a very different story with Deal scoring four times without reply to virtually book their place in the next round. Two of the goals came from Danny Smith’s inswinging corners to the far post where Kane Smith added the finishing touch while another also stemmed from a Deal corner, this time by taken Andy Miller, and which eventually fell for Dean Hill to ram home. The pick of the bunch, however, was provided by Connor Coyne with one of his trademark volleys after Sam Wilson had skillfully set up the opportunity – all of which put Deal 5-1 ahead with 15 minutes left. That clearly should have meant “tie over”, but instead the Hoops then allowed their concentration levels to drop and Glebe grabbed their chance to score twice in four minutes through Chris Retambwa and Toulope Jonah. Another goal for the visitors would have set up a nervy finish for the Hoops, but instead it was Deal who rounded off the scoring when substitute Dan Adams sent defender Liam Hark racing through for a rare goal in injury-time. Derek Hares said afterwards: “We had a great first 30 minutes in the second half to go 5-1 up but we then switched off for a few minutes and allowed them back in it. Deal: Tonkin, Paxman, Hark, K Smith, Hill, D Smith, Scott (Adams 65), Foster (Brisley 75), Miller, Coyne, Wilson (Alexander 72).